How happy are you with your current hosting company? Are you satisfied with the tools and services they provide? Are their representatives courteous and knowledgeable? Do they promptly resolve your problems? Are they up 99.9% of the time? Poor to non-existent customer support? An inability to resolve problems in a timely fashion? Limited communication with their customers? Have you ever become so dissatisfied with your hosting company that you’ve ever thought about or actually made a switch? Today is your chance to share your thoughts on and experiences with hosting companies! The official questions are below, but as always, feel free to discuss anything relevant to today’s topic! 1. Are you satisfied with your current hosting company? Why or why not? 2. Have you ever changed hosting companies (or are you thinking about doing so?) Please share that experience with us! Thank you so much for participating! As always, my readers and I look forward to your responses! It’s never too late to join the fun and share your thoughts on any of our previous topics! To see what we’ve been discussing, click on What’s On Your Mind. Wow, Stacy, I didn't know you did web design! I love mine. I've been with them for almost three years and have never had a problem. They are reasonably priced too! Found you on the Alexa hop. Yes Stacy, please share. I'm looking for a company that still allows outside advertising on the website. It looks like a lot of them insert advertising into your web page to keep the cost of their web-hosting down. I'd still like to be able to do Google Adsense or something like it. Any suggestions? Oh! And thanks for stopping by the S&R weekend hop Paper Princess!! I haven't really used mine much yet. I've had my domain and the hosting set up for a few months, but I haven't got my blog switched over yet, so I haven't had to deal with them yet. Stopping by with my Alexa toolbar! I'm a new follower from FF ! I hope you'll stop by sometime. I always LOVE visiting your blog! Thanks for linking up at Sassy Sites for our ffa party! Have a wonderful weekend! xoxo!! I was initially with BlueHost then Media Temple and now with DSW. I guess they're okay. I have no complaints. 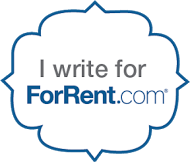 So far so good, I use hostgator but I just switched form blogger to wordpress a few weeks ago, I have not had any problems and the price is right. Stopping by from the blog hop…I am a new follower. Check out ww.runninglovingliving.com when you get a chance. Stopping by to stalk you from this week's Super Stalker Sunday! Thanks for linking up. I hope you'll join us again next week! Stop by and visit Formula Mom when you get a chance! HI! Following from Super Stalker Hop. I see that many people are switching to wordpress and it is mentioned here again. I think I will finally check it out. I love my blogger blog. I'm with Blogger who are pants!! But I can't justify paying for a better one. It's not like I earn money from it – If it was a business I'd consider it. When I've finished my book I'll build a new website for that and might use a better host. But i'd see that as a business – my blog now is a hobby. I have no idea which I'd choose though. I am happy overall with my hosting company however I do notice that a few weeks ago it his a snag and was down for about four hours. That was not cool at all! Hi. I am a brand new follower and I am coming to you from the Alexa blog hop today. I just use Blogger so no hosting company here. For what I do I am happy with just blogger. Thanks for linking up to the NOBH! Hi, stopping by from the Alexa hop! Have a good day! following you from Mom Blog Blog hop! Nice to find or re-find your blog! Have a blessed day! I just use Blogger for hosting, but pay for a domain name. Its not perfect, but for the price of free its hard to beat. I am very happy with my hosting company 🙂 They take pretty good care of me and their customer service rocks! Sorry about the numbers on ID. Trying to fix it. Another thoughtful and thought provoking link for Alphabe-Thursday! I like the hosting service for my personal website and chatroom. I'm not thrilled at the moment with blogger, but, hey, you get what you pay for.